Greying of hairs before the age of 35 is known as premature greying of hairs. Earlier grey hairs depicted the onset of old age and were normally reported at the start of 40’s. But today the case is different, you may see grey hairs starting at teenage years as well. At the root of hairs, within the scalp the hair is surrounded with a hair follicle. These hair follicles contains the pigment producing cells that produce the pigment melanin. Melanin gives a natural color to your hair strand. Due to various reasons, the required quantity of melanin pigment is reduced which causes the hair strand to loose its color. It is a part of normal ageing process whereby the amount of pigment produced starts reducing naturally whereby usually in 50’s you have considerable amount of grey hairs. But, If you are among such people who have started getting gray hairs in early 20’s consult a homeopath soon. Genetics play a major role and may increase the risk factor developing premature grey hairs. Research is still going on to find the exact gene responsible. Though there is no scientific evidence but people who remain in a continuous mode of stress and anxiety are more likely to develop grey hairs. The kind of food you intake also have a direct impact on your skin, hairs and overall health. Eating a proper diet help ensure that necessary nutrients reach your body. And hence preventing premature greying of hairs. Smoking puts you at a high risk of developing premature greying of hairs. 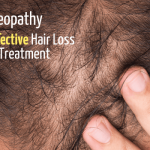 As homeopathy works through the underlying cause, a homeopath first finds what is the root cause of your premature greying of hair. 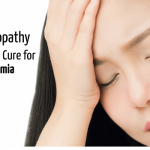 Once the root cause is located, suitable homeopathic remedies are prescribed. Homeopathy treats you as a person. No two person with the grey hairs are treated the same way. Two, individuals may vary widely on how they develop their premature gray hair. 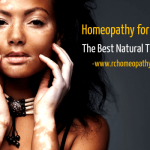 Therefore a homeopath create a separate plan for the treatment. 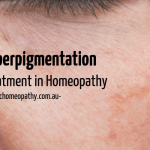 Once the underlying cause is well known, a homeopathic practitioner help prevent the spread. Homeopathy help manage your gray hairs condition effectively and slow down the greying process. Homeopathy can help reverse the premature greying if this condition is inherited through some disease/ ailment. But if comes through your genetic predisposition, patience may be required but homeopathy can help manage it. Note: Do not self-medicate any of the remedies mentioned above.The homeopathic medicines listed above are generalized. For remedies most suitable to you consult a qualified homeopathic practitioner.